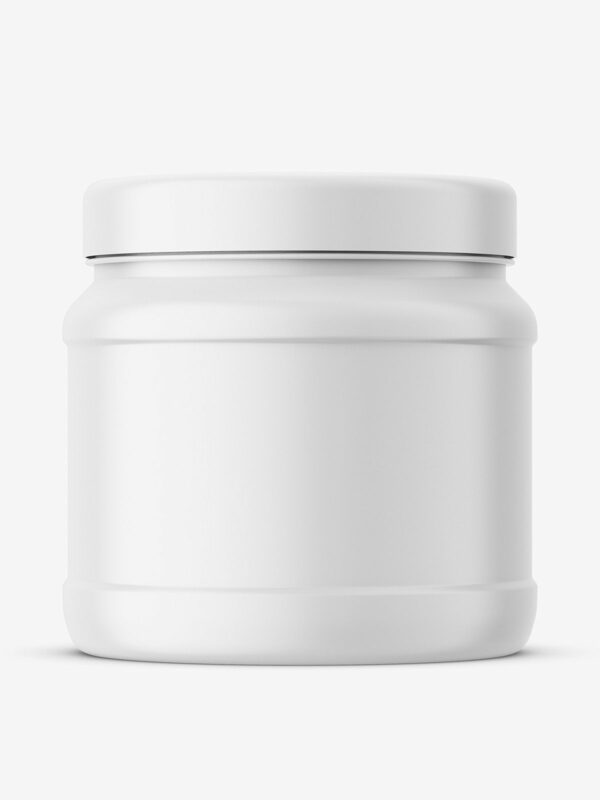 Mockup of popular nutrition jar. 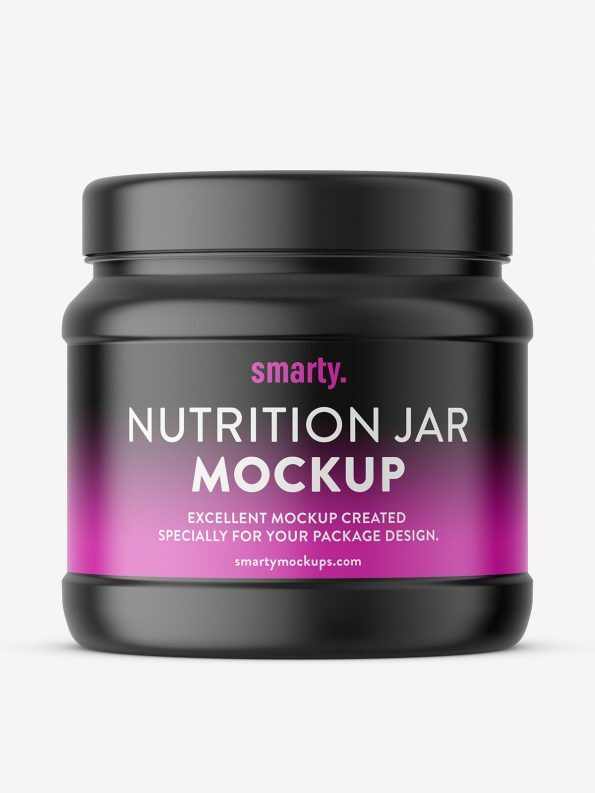 Mockup is prepared with ability to paste your own label. Label cover entire jar and can be limited to only label area.